Home freight What Are Drayage Services and When Do You Need to Use Them? We know that you’re always on the hunt for the best ways to improve your overall supply chain and shipping process. But especially in today’s world, where fast shipping speeds are more important than ever before? Sometimes, it can feel almost impossible to keep up with the competition — especially if you need to move a large amount of goods over a short distance. This is where the process of drayage can help you to expedite your shipping process, and raise customer satisfaction in the process. Especially if you’re interested in same day shipping, then you need to learn more about how drayage services can make it happen. Keep on reading to learn more about the drayage process, and how it can help your business as a whole. Before we get into the specifics of why drayage services are so essential, and when you’ll likely need to use them as a part of your shipping company? Let’s make sure you actually understand what they are! In a nutshell, the process of drayage refers to moving an amount of goods over a relatively short distance. In some cases, drayage services refer to smaller shipments. However, usually, when someone mentions drayage, they’re referring to its specific role within the shipping container industry as a whole. For example, drayage is the process of moving shipping containers and cargo from one point to another, moving cargo by rail, or even using semi-trucks to transport goods and smaller containers. The shipping method isn’t nearly as important as the distance being covered. 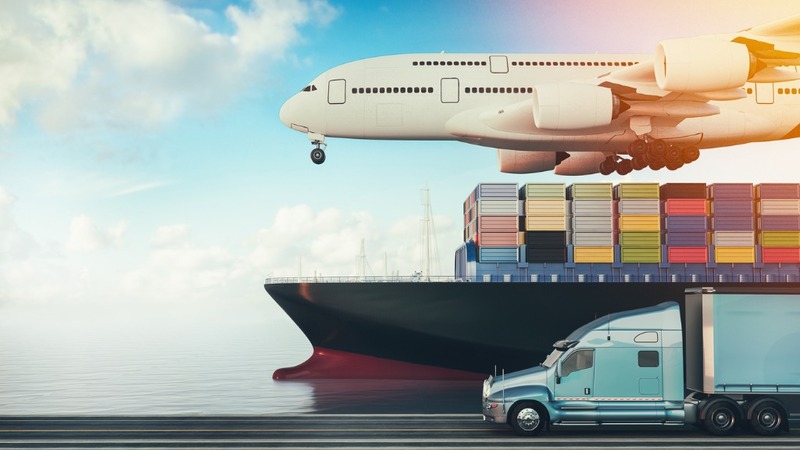 Whether you’re using port drayage or trucking drayage, the point to focus on is that you’re not likely to move the goods over too great of a distance. In general, drayage services help companies to move large amounts of goods from one part of the same city to another. They are not suited to those who need to move shipping containers and other products from one state to another, or to an international destination. It usually takes only one shift to complete the drayage process. In some cases, you might also see drayage services referring to a pickup at a border or a seaport. In these cases, drayage is the service fee that your company will pay to have this pickup completed by a professional. Finally, drayage can also be a smaller part of a larger overall journey or shipping process. For example, if you need to get your shipping container from a warehouse to a seaport, so it can be transferred overseas? Drayage can make it happen. Now that we’ve covered the basic definition of drayage services, let’s take a closer look at one of the most important aspects of it all: intermodal drayage. This refers specifically to a shipping process we referenced in the first section of this post: getting your goods from one place to a larger and more central transportation hub. You might hire a drayage service to pick up your products at a port, a warehouse, or another intermodal point. The services also ensure that your goods are properly packed and loaded before they go to their next destination. Sometimes, intermodal drayage services are used by companies who need to put their goods into longer-term storage facilities. Usually, drayage trucking is used in these specific types of services. Of course, intermodal drayage services are hardly the only kind of drayage services that you can expect to be offered to your company. One of the most popular methods is what’s called expedited drayage. This is the process of shipping and moving goods that have especially time-sensitive deliveries. In most cases, this means that the goods will be moved over the road. This is especially popular for companies that need assistance making same-day delivery a possibility. You may also opt for inter-carrier drayage. This is the process of moving your goods from one carrier to another. Some drayage companies even offer what’s referred to as door-to-door drayage. Usually, when someone chooses door-to-door drayage the goods are delivered specifically to a customer, not to a store or warehouse. They’re most often transported by rail. There is also what’s known as intra-carrier drayage. This means that cargo is moved from one kind of transportation type to another, but through the same specific carrier. We know it gets confusing, so always make sure that you’re absolutely clear on the difference between inter-carrier drayage and intra-carrier drayage before you book anything. The last two methods of drayage are pier and shuttle options. As the name implies, in pier drayage, your cargo will be moved by truck from a train station to a dock or a pier. Finally, shuttle drayage refers to the process of taking intermodal cargo to a lot. Then, it will be transported from there to prevent overcrowding. Interested in Professional Drayage and Other Delivery Services? We hope that this post has helped you to get a better understanding of not only the definition of drayage, but also why drayage services are so important for your company. They’re especially beneficial to those businesses who want to offer same day delivery to their customers. Of course, drayage is far from the only delivery option that’s available to your business. Are you interested in learning more about how we can help you to improve your overall delivery process?